Novelist Sheila Heti's grandfather, a painter, wrote an essay about Pierre Bonnard, citing him as his favourite painter. 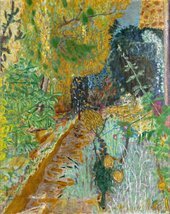 Heti speaks about the working methods and artistic process of Bonnard, who painted the everyday material of his life - from his wife, to his cups and plates - from memory. 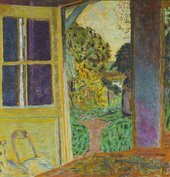 Bonnard relied on the repetitions of his daily life to build up an inner, visual vocabulary. Sheila Heti is the author of eight books, including the novels Motherhood and How Should a Person Be? In 2013, Time magazine named her one of the Most Influential People in the world. She has written for the London Review of Books, The New Yorker and Granta and her books have been translated into 21 languages. She lives in Toronto.